The Salvation Army does not truly consider themselves a company or an organization, but rather refers to themselves as an international movement that aims to help people from all around the world and all walks of life gain access to the necessities in life, as well as essential services that they might need to survive and walk positive and successful paths. The Salvation Army Harbor Light program offers people access to a range of treatment services that aim to help patients recover from addictions to pharmaceutical drugs, illicit drugs, and, of course, to assist in treating alcoholism. While outpatient services and sober living programs are offered through the Harbor Light program, the Michigan division of this particular program tend to focus more on providing patients with residential treatment care services to help the patient recover while they are living in a sober, drug and alcohol-free environment. A large range of services are included in the residential programs that are offered, and there are three facilities located throughout the Michigan state to ensure a larger area can be covered. The Eastern Michigan Division of the Salvation Army’s addiction recovery program is quite large. There are three facilities throughout Michigan where patients can undergo treatment. These three facilities can accommodate up to 750 patients at a time. It should be noted that patients are required to share rooms in all of the units that are available. Rooms are equipped with basic furniture. The staff members that are involved with the three addiction treatment facilities operated by the Salvation Army in the Michigan region are able to assist in providing patients with an individualized treatment plan that takes their unique circumstances and conditions into account. A sub-acute detoxification program is available for patients who require a more intensive residential treatment approach. Several treatment options may also be included in the patient’s individualized treatment program, depending on the symptoms they present during an initial review with one of the intake counselors. As part of the residential treatment services offered at Salvation Army Harbor Light Michigan, patients will undergo therapy with a dedicated psychiatrist to help them throughout their recovery. Apart from the individual sessions with a therapist, patients will also undergo AA meetings and other types of group therapy sessions. The Salvation Army relies on the support that they obtain from donations in order to continue providing patients access to treatment services that help them recover from their addictions, as well as any co-occurring disorders that the patient may be suffering from. The services that are available at the residential treatment units in Michigan are provided free-of-charge to patients who commit toward recovery. Patients are, however, welcome to provide the facility where they are being treated with a donation, should they be able to. No details are provided regarding the licenses that have been provided to the Salvation Army Harbor Light’s facilities in Michigan. We were unable to determine if the appropriate departments of the Michigan state have licensed these facilities to provide residential addiction treatment services to patients. The company also does not state whether or not their services have been evaluated by the Joint Commission, by CARF, or any other bodies that specialize in reviewing the services provided by such rehabilitation centers in the United States. Patients who become part of the residential treatment program at one of the three facilities operated by the organization in the Michigan state will be provided access to closet space, along with additional amenities that may become useful to them during their recovery. Women with children are also provided access to the Evangeline Center. There is a specialized unit available for patients who are deaf as well. Patients are also given three meals per day while they are undergoing residential treatment at one of the three facilities operated by the Salvation Army’s Harbor Light Eastern Michigan division. The Salvation Army is an international “movement” that has members all over the world. Soldiers, officers, volunteers, physicians – there are many members that make up this large organization. 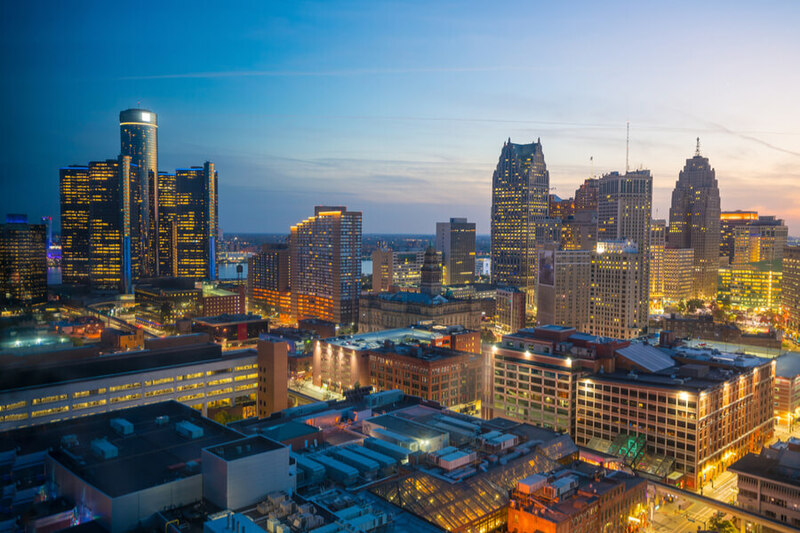 Even though we have focused on the organization’s division in Michigan in this review, it should be noted that no specific details are provided in terms of the staff members that are involved with any specific facility that the organization operates. The main website simply provides a broad overview of the higher members who are involved at an international level with the organization, but the data is very limited. Since many patients do feel that they would like to ensure they will be treated by experienced and qualified staff before they commit to recovering at a specific facility, such as the Salvation Army Harbor Light facility in Michigan, we do advise a call or a visit to the facility that is closest to the particular patient’s location. There are three different facilities throughout the Michigan state, each with their own staff members. Patients will be able to gain more insight into the volunteers and employees at the facility by visiting them directly.